Said to be the cross between a member of the Bee Gees and a prickless hedgehog, the Haggis is believed to be thriving in the harsh climates of the Martian atmosphere. The discovery was made at the Scottish DFMB (Deep-Fried Mars Bar) space laboratory in Stonehaven, by Dr Paul McFlurry, who was anxious to release the news to the press. “This is a jaw-dropping discovery,” he said. “Quite remarkable. 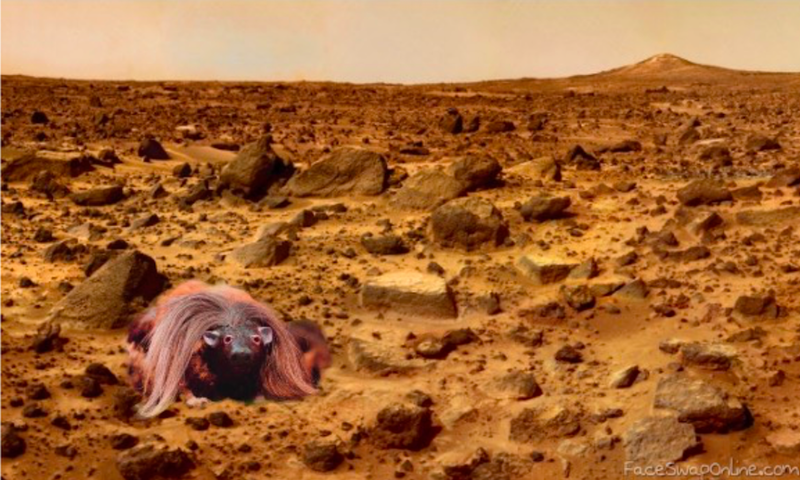 Somehow, the Scottish Haggis has managed to colonise Mars, purely through independent venture. The DFMB Lab will be sending its newest craft on a mission to Mars, hoping to beat the Russians who say they have found Vladimir Putin’s honesty on the Red Planet. What is being coined the “Great Chieftain o’ the Puddin'” race, Scotland is pitted against the Russians to be the first humans to reach Mars, both with their own missions.